The Carnevale Network - Who and what are the Gullah Geechee? Enslaved Africans brought a rich heritage of cultural traditions in art, food ways and music. Arts and crafts are the result of products designed by necessity for activities of subsistence and daily living such as making cast nets for fishing, basket weaving for agriculture and textile arts for clothing and warmth. The art of making casts for fishing has been passed down by enslaved Africans brought to the southeastern shores of the United States. Gullah Geechee people continue to use the nets to harvest from the Sea Island waterways, but the tradition is labor intensive and artists are dwindling in numbers as younger generations have lost interest. African textile traditions that included sewing strips of cloth into larger patterns were combined with European quilting methods and a creole art form emerged. Quilts with bright colors and designs were originally made for necessity. These traditions also allowed women a time for social interaction. Food has always played an important role in social traditions in many cultures. Gatherings, celebrations, and religious rituals, are often accompanied by food. The Gullah diet consisted of items available locally such as vegetables, fruits, game, seafood, livestock; items imported from Europe, items imported from Africa during the slave trade (okra, rice, yams, peas, hot peppers, peanuts, sesame “benne” seeds, sorghum and watermelon), and food introduced by Native Americans such as corn, squash, tomatoes and berries. Rice became a staple crop for both Gullah and whites in the southeastern coastal regions. Although a bounty of food types existed, there was not always a bounty of food available for enslaved Gullah people or their descendants. Making use of available food (or rations), making a little go a long way, supplementing with fish and game, leftovers from butchering and communal stews shared with neighbors were African cultural practices. Religion and spirituality have a sustaining role in Gullah family and community life. Enslaved Africans were exposed to Christian religious practices in a number of ways and incorporated elements that were meaningful to them into their African rooted system of beliefs. These values included belief in a God, community above individuality, respect for elders, kinship bonds and ancestors; respect for nature, and honoring the continuity of life and the afterlife. Some plantation owners had regular religious services on the plantation and required slaves to attend. 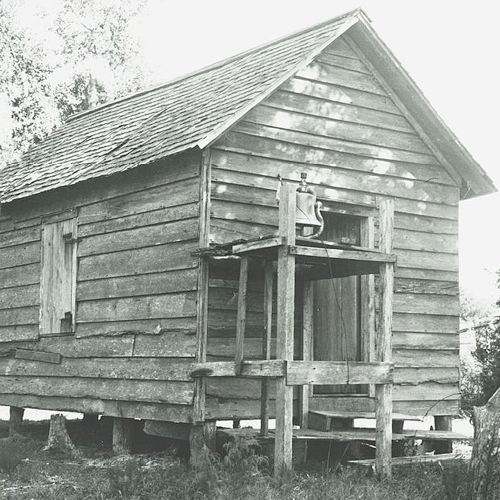 Some plantations had separate services for blacks with black preachers. Plantations frequently had a praise house or small structure where slaves could meet for religious services, but these also had significance in maintaining community cohesion, social structure and conflict resolution.